Problem. 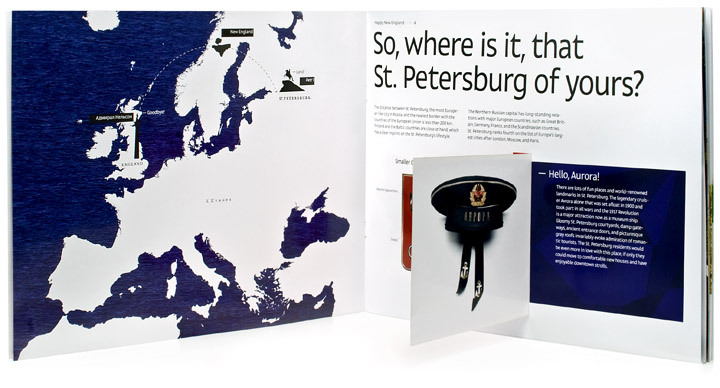 Design the kind of booklet you would want to get hold of at an exhibition. Investment fairs are aimed at those who look for promising projects, collect useful information and show their bosses what theyve managed to get. 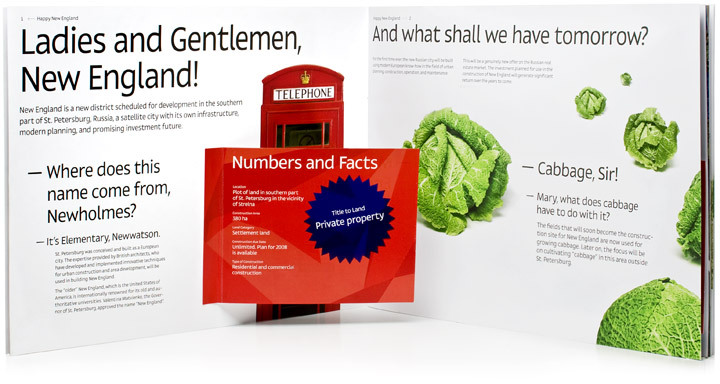 New England booklet contains the key words necessary to grab attention of those who may be interested in the project as well as some entertaining bits and pieces making it fun for the rest of the audience. 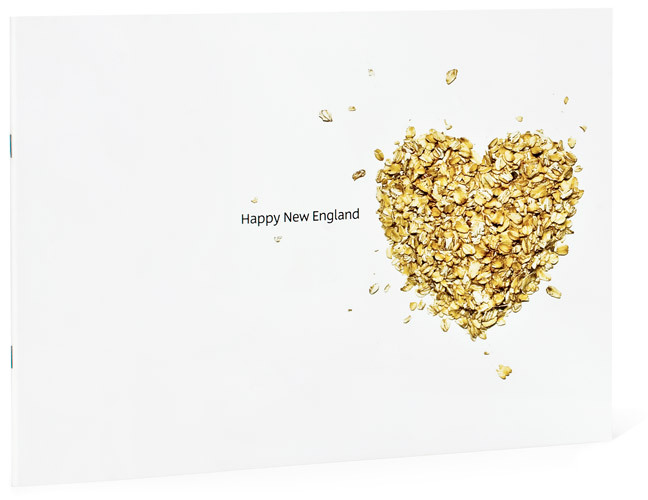 A reader takes a dialictical journey from porridge (symbolizing Old England) to cabbage (which stands for New England in Russia) and learns the project details on the way. 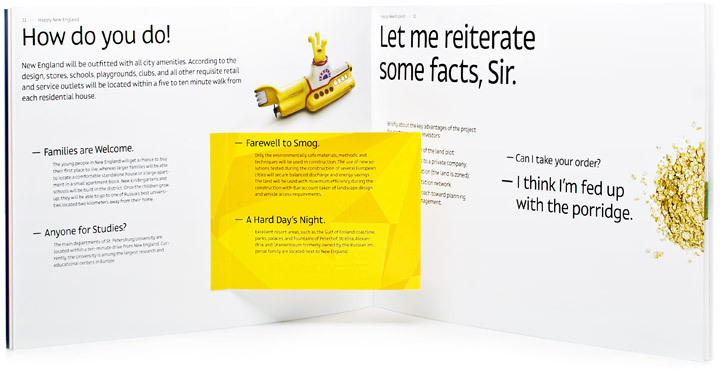 Some pages have flaps with more text and illustrations underneath them.